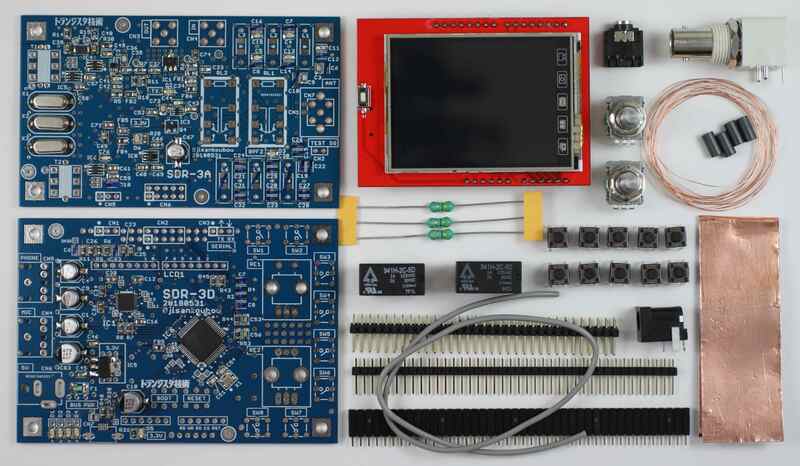 SDR-3 is the assembly kit for learning RF communication signal processing. Which has 2 PCB boards, RF analog front-end unit"SDR-3A" and digital processing unit "SDR-3D". You can monitor processing status of STM32F405 by spectrum on LCD. 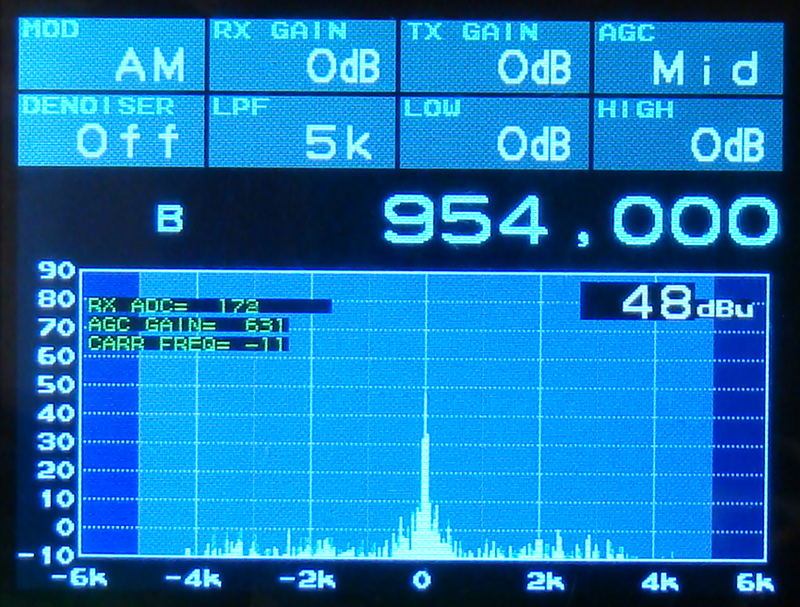 It enables you build up SSB SDR tranceiver adding RF power amplifire etc. You can buy this kit at website "tindie" also. Please download archive files from here. Which include hex file for STM32F405 and assembly manuals. In addition to the transmission / reception setting, spectrum and frequency characteristics can be checked on the color LCD. You can monitor the following information. ARM Cortex-M4 microcomputer (STM 32 F 405 RGT 6) with built-in FPU (Floating Point Unit) is mounted on SDR-3. It enables you to learn signal processing programming skills for radio communication. You can select the following three types of SSB signal generation method. This kit enables you to measure carrier wave frequency very precisely refer to AM radio wave,its resolution is more precise than FFT (Fast Fourier Transform) method. It is easy to measure the carrier frequency, and it is also possible to caliblate the frequency deviation error of oscillator. This kit removes proximity spurs (carrier leaks and image signals) generated by analog mixers using 3-stage crystal filter. 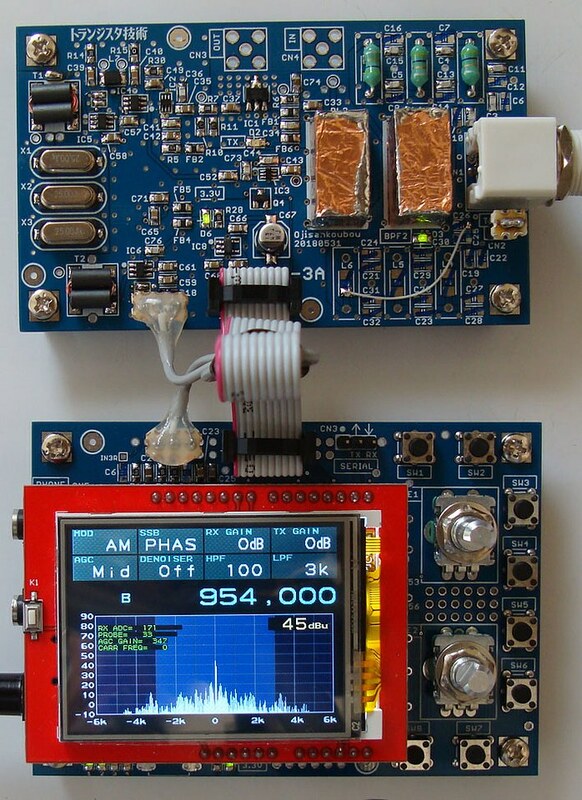 homebrew vector network analyzer(VNA), spectrum analyzer, logic analyzer, reciprocal frequency counter, pulse generator, HF signal generator, Audio signal generator, receiver, fm streo tuner, mp3, aac player and DRM reciever.